2 standard sizes – self adhesive pocket 112mm x 89mm wallet 112mm x 178mm. 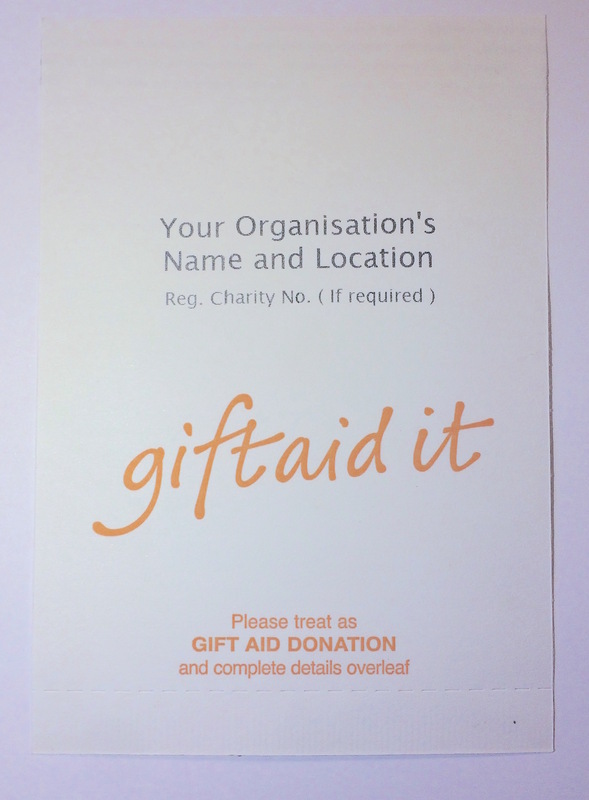 Our generic envelopes are manufactured by us on white recyclable premium paper with a self adhesive peel and seal strip and easy open perforation and overprinted with your charity name and number on the front and a choice of standard declarations on the reverse. 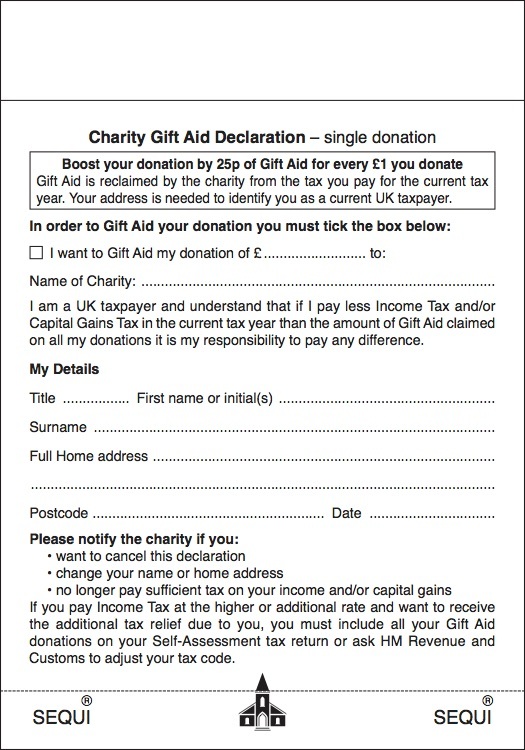 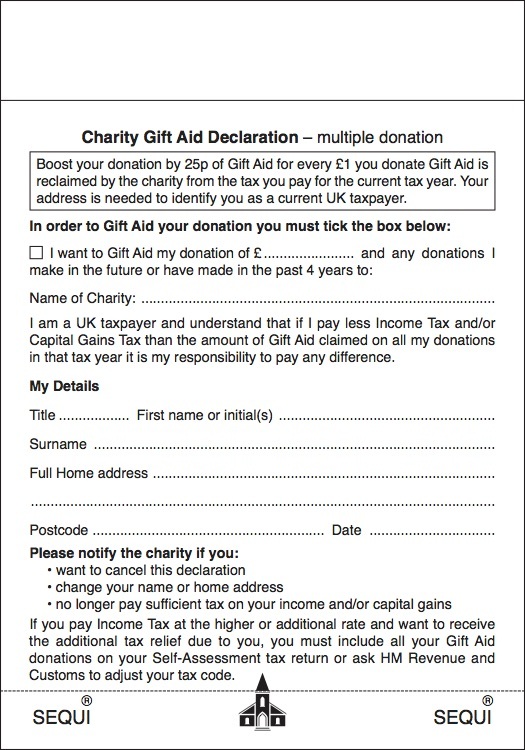 These charity Gift Aid envelopes have a specifically different back to the ones used by churches.